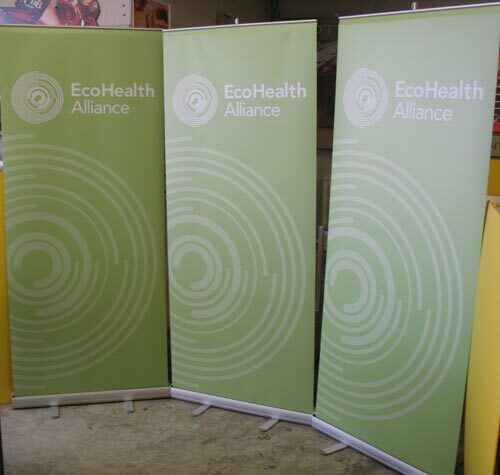 Pull-up banners are increasingly popular for retail and trade shows. 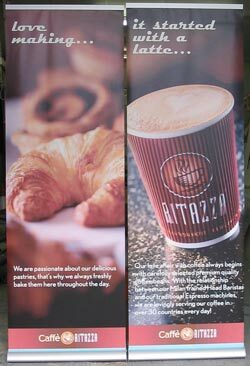 Pull-up banners are inexpensive, lighweight and easy to transport to exhibitions. We can provide pull-up banners complete with a stand and carry pouch, making them a very effective display for travelling representatives. 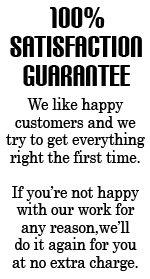 Prices start at £69.00 + VAT for a pull-up banner using your ready-to-go design and artwork. 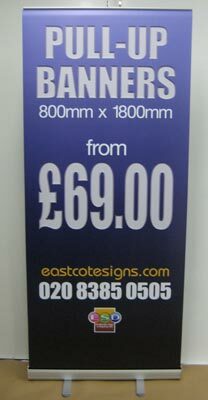 Call us today to order your pull-up banner on 020 8385 0505.